CarGurus has 26,714 nationwide Focus listings starting at $999. If you think buying a compact car is just about fiscal prudence and fuel efficiency, think again. Sure, the 2017 Ford Focus is a smart choice for those looking to save money on the purchase itself and at the pump, but the Focus is also fun to drive, looks sharp, offers plenty of technology, and can be configured with options to suit your personal style. 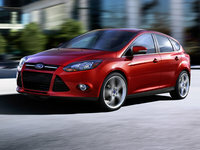 There are no major changes for the Focus this year, aside from some minor tweaks to the trim and feature configurations. Its last major redesign was in 2012, but the Focus has stayed fresh thanks to Ford’s willingness to update without overhauling—like adding the Fusion’s handsome Aston Martin-like grille, improving the infotainment system, and increasing drivetrain options. Since it’s up against a horde of other competent compacts—such as the Honda Civic, Mazda3, Hyundai Elantra, Kia Forte, and Chevrolet Cruze—Ford is trying hard to keep the Focus looking its best. The Focus comes in four trims: S, SE, SEL, and Titanium. The S is offered only as a sedan, while the other three come as a sedan or hatchback. The standard engine for most trims is a 2.0-liter inline 4-cylinder (I4) that produces 160 hp and 146 lb-ft of torque. The I4 can be mated to three different transmissions—with a 5-speed manual (standard on the S trim), it gets fuel-economy numbers of 25 mpg city, 34 highway, and 28 combined; with a 6-speed PowerShift automatic (available on the S and SE sedan and standard on the SE hatchback), it gets 26, 38, and 31; and with a 6-speed PowerShift automatic with SelectShift (standard on the SEL and Titanium), it gets 26, 36, and 29. The Focus SE sedan is uniquely outfitted with a 1.0-liter turbocharged EcoBoost 3-cylinder engine mated to a 6-speed manual transmission for an output of 123 hp and 125 lb-ft. With the standard 6-speed manual transmission, it boasts fuel-economy numbers of 30, 40, and 34. It can come instead with a 6-speed automatic with SelectShift, which lowers the fuel efficiency slightly to 27, 38, and 31. Ford sells the Fusion worldwide, which is one reason it drives so well—the international market is harder to impress with handling. Whether you’re driving down winding roads on the coast of Italy or up in the mountains of Vermont, the Fusion will make it an enjoyable experience. And on the highway, from the German Autobahn to California’s I-5, it offers a smooth and quiet ride. Like the Fusion’s exterior, its handsome interior hardly feels like that of an economy compact, although that’s exactly what it is. The materials and construction are good quality, the layout is logical, and the available ambient lighting adds an extra dash of style. The Sync 3 infotainment system with touchscreen (which comes standard on the SEL and Titanium trims) offers the latest in smartphone integration and has been lauded by critics. Standard features for the Focus’ base S trim include air conditioning, voice recognition, Bluetooth, a 4-speaker sound system with CD/MP3 capabilities, and 2 USB ports. The SE trim adds cruise control, rear air vents, and 2 more speakers. Several packages become available as well, like the EcoBoost Appearance package, with a 6-speed automatic transmission with SelectShift, fog lights, and LED lighting, and the Cold Weather package, with heated mirrors, front seats, and a leather-wrapped steering wheel. The Focus SEL trim comes equipped with dual-zone automatic climate control, a 10-speaker Sony sound system, Sync 3, LED daytime running lights, and rear parking sensors. The high-end Titanium trim delivers all these highlights plus leather upholstery, an 8-way power driver’s seat, remote start, a rear spoiler, turn-signal-integrated heated mirrors, push-button start, and a keyless-entry keypad. The Focus falls a touch short on both legroom and cargo space, particularly in the sedan. Its rear seats are a squeeze for adults, and the trunk has just 13.2 cubic feet of cargo room—about 2 cubic feet less than other class-leading compacts. The hatchback, however, offers 23.3 cubic feet behind the rear seats and 43.9 cubic feet with the seats folded flat. Standard safety features for all Focus trims include a reversing camera, stability and traction control, antilock brakes (ABS), a driver’s knee airbag, front side airbags, side-curtain airbags, and Ford’s MyKey, which allows a parent to set speed and audio restrictions for teen drivers and prevents the deactivation of certain safety features. The 2017 Focus earned a 5-star rating from the National Highway Traffic and Safety Administration (NHTSA) and a score of Good on most crash tests from the Insurance Institute for Highway Safety (IIHS), except the small-overlap front, where it received an Acceptable rating. 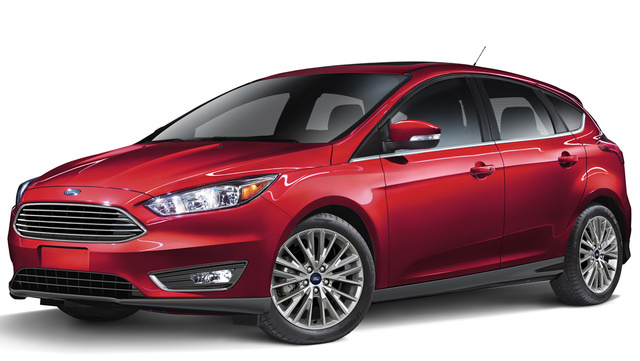 What's your take on the 2017 Ford Focus? Users ranked 2017 Ford Focus against other cars which they drove/owned. Each ranking was based on 9 categories. Here is the summary of top rankings. Have you driven a 2017 Ford Focus? 2017 Ford focus has started rolling back significantly in park or drive, not 100% of time. Is this a known issue? Parking pawl? Brake or transmission fluid issue? Any ideas?